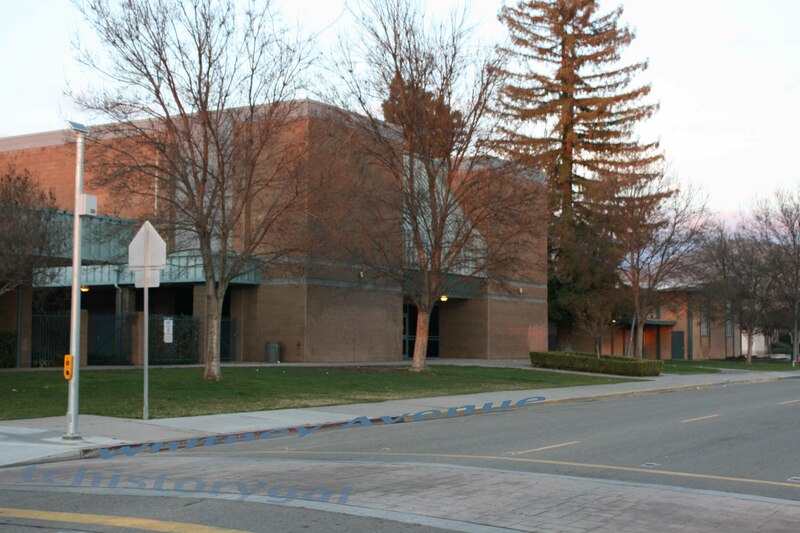 Sally Pace asked me to do a column of Foothill History for the Kiwanis magazine which is published quarterly. 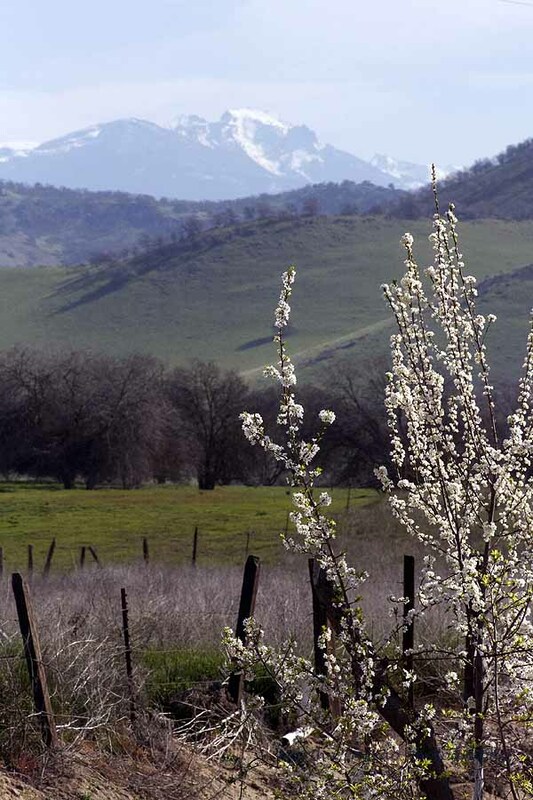 Our larger community consists of several small foothill towns ranging from populations of about 3,000-8,000. From north to south the communities are: Woodlake, Lemon Cove, Three Rivers, the Sequoia and Kings Canyon National Parks, and Exeter. Then a little farther south, still in the foothills, but not considered in our neighborhood are: Lindsay, Porterville (about 45,000 pop. ), and Springville (very tiny and very high into the mountains). 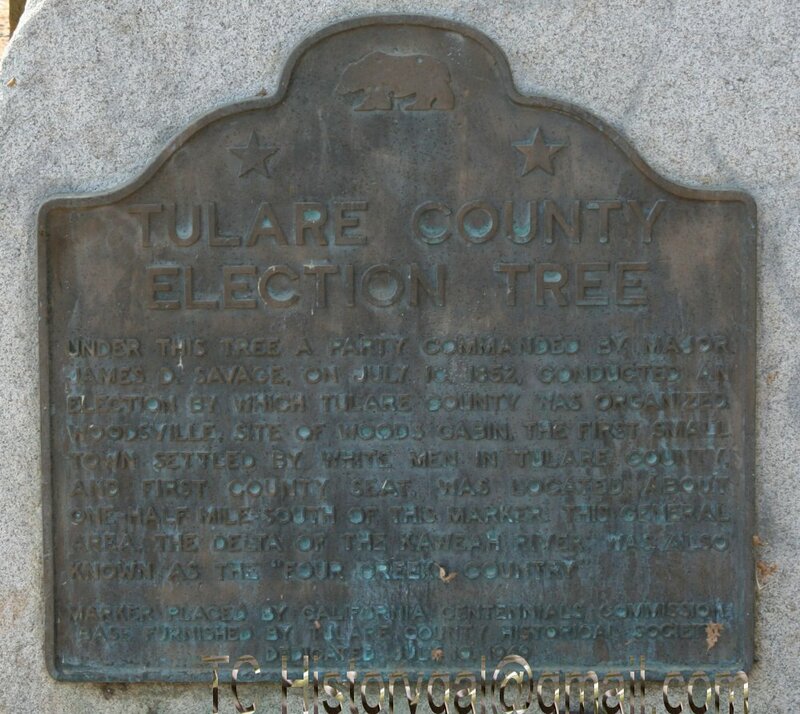 Just so that you understand the history here in Tulare County, I will give you a little background. There were NO white, Mexican, Asian, or any outside people here before 1852. NONE – not even explorers. Well maybe one or two Spanish explorers. But let me tell you, they didn’t stay. Heck no, they went back to the Central California Coast. So when the world rushed in to find gold in “Californey”, a few of the folks headed south of gold country to Tulare County. Native Americans from the Yokuts tribes lived here peacefully before the OTHERS arrived. 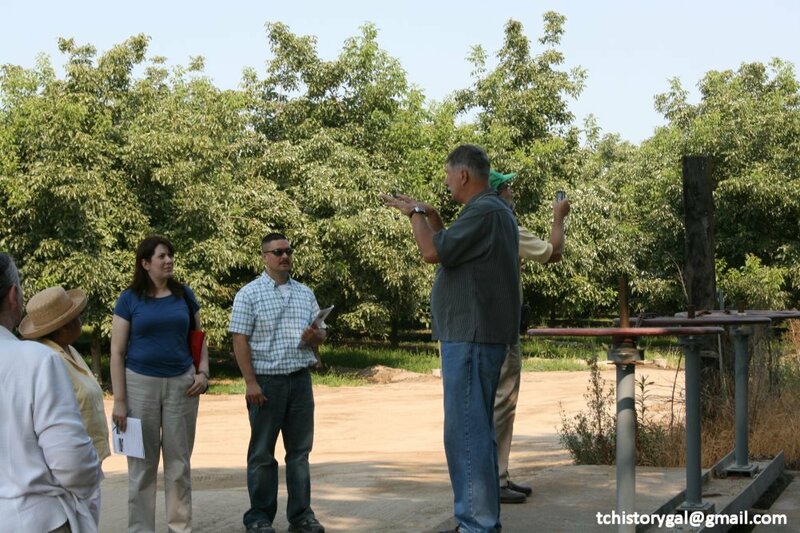 Terry Ommen, Tulare County Historical Society, conducts a tour of Tulare County. This stop, near the original site of the Election Tree, near Road 182. Tulare County was the size of West Virginia. “I can’t come right NOW! I’m right in the middle of class,” Frank answered the intercom voice that the entire high school could hear. Add they did for about 25 minutes. That was back in the late 1960s (when I attended junior high and high school in Indiana.) Weren’t we the Perfect Generation, or something like that? Both Frank and Sally talked about the kids doing projects. The high school kids kept the teachers organized so that the projects ran smoothly. Students could drive in those days – if they had a license. So if the students needed something for the project, the teacher would just ask one of them to go get it at the store, and come back to class with it. If they had to travel for sports or field trips, the kids just drove there – if they were over 16, and had parents written permission, of course. There were SOME laws back in the 1960s. The principal, Bud Loverin, said to Sally, the JUST hired home economics teacher, “We have an opening inservice for all the teachers the first day back to school. There will be about 60 people for breakfast and lunch.” You got the implication of that statement, didn’t you? The administrators made the assignments, then trusted the teachers to somehow accomplish them. and somehow they did (or they didn’t, I’m guessing). These two teachers remembered going into the Loverin’s office upset about some issue, and coming out apologizing for taking up his time, and thanking him for the new assignment he just gave them. Yet they both said teacher morale was at a high. Bud Loverin answered, “If I didn’t think you couldn’t do the job, I wouldn’t have hired you.” He didn’t have an evaluation that year. He didn’t have very many evaluations. To be fair, I never had too many evaluations that ever seemed like evaluations, and I taught from the late 80s on. But my experience is unusual because I left the classroom and didn’t become a principal, but a consultant. Are we missing something today? Bud Loverin sounds like what current experts (and laws) might consider to be a horrible principal. He was the type of sales person that motivated his staff. Sally repeated an oft-said comment about Loverin, “He could have sold icicles to Eskimos and made a profit. ” The teachers loved him. He took care of them. Frank and Sally both said the kids loved the principal and the vice-principal, Herman Ziegler, and most got good jobs after they graduated. I know both of these teachers, so I know that they both understated their effect on kids. Both teachers are very well-respected and loved by students and teachers alike. Frank quit teaching in his 70s, and is still active in the community. Sally became a counselor in the high school and brought national recognition to Woodlake High School a few years ago because she raised so much money for scholarships, and enabled students to attend college. She has also retired in her 60s – sort of, and keeps busy in the community. Frank talked about discipline in the school, when they still used a stick. Discipline was done by the vice principal – a BIG guy, Herman Ziegler. Both the principal and the VP were BIG. I remember our principal in 5th grade. He would come in to get a naughty boy, and I would quake. He was BIG. What was it in those days? Was that a requirement for being a principal? BE BIG, and you’re hired? 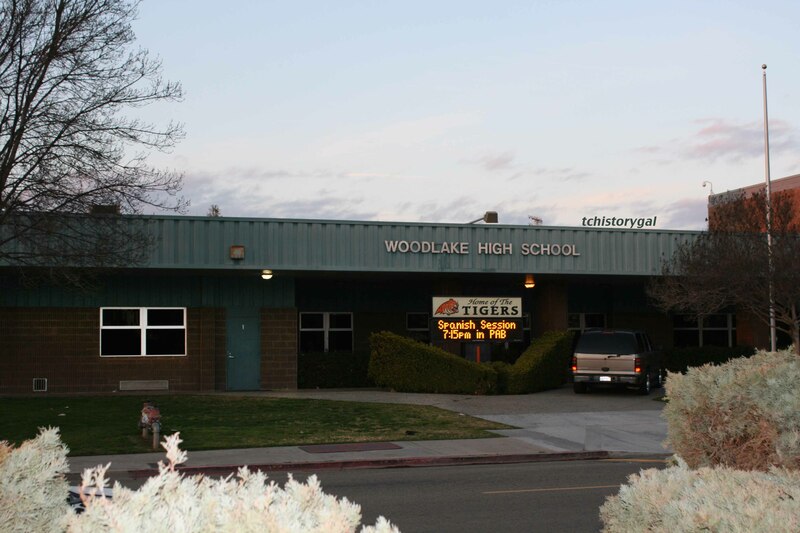 Apparently they got the job done in Woodlake according to Frank and Sally. When I was getting my teaching credential in 1986, I interviewed a retired elementary principal, Mr. Crawford, in Woodlake for an assignment. He told this story. In the 1940s, as a teacher, he had a 19-year-old 8th grade student with an attitude. (duh! I’d have an attitude if I were still in 8th grade at age 19.) This student was about 6 feet tall, and didn’t like the assignment Mr. Crawford had made. The student challenged his 6 foot tall 40s something teacher, “If you didn’t wear glasses, I’d beat you up.” Crawford promptly removed his glasses, and the two settled their dispute. The teacher won, and the student behaved the rest of the year. By the time the principal, Francis J. White, arrived on the scene, the student was doing his assignment. I have to say that at the time, I sat in this man and his wife’s living room with my mouth hanging open during most of the interview. It was one of those unforgettable experiences. At the time I knew Mrs. Crawford because she and I often substituted in all the classes in Woodlake. She was tiny, about five feet tall, and probably never weighed 100 pounds, but she knew every student in school, and they all liked and respected her. She had a no-nonsense way of managing a class that worked. She never had to raise her voice – or her hand to a student. So how have times changed since you were in school wherever you are from? What was school like when you started teaching? What was it like when you were a kid? What worked? What didn’t work? Not a teacher, but really enjoyed the post. NO way! I am a Hoosier. Where are you from? I’m from Indianapolis. Too true, it is a small world! And all this time I thought you were a Californian. 🙂 I’ve been wanting to see Indy just for the “Sailors’ and Soldiers Monument”, LOL. Marsha, I wanted to let you know I seen the Monument—even went up in it! Going to do a post next week and share some of the photos if you’re interested. 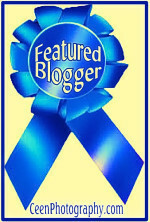 Completely understandable (having the same problem keeping up with all of the great blogs out there). I must admit though, I was wondering where you had gotten off to. Wow, I can’t imagine leaving my class on their own for 25 minutes. I doubt they’d last long…. This is great, Miss. Ingrao! Congrats on your retirement. You were a an amazing teacher. You always went above and beyond for your students.